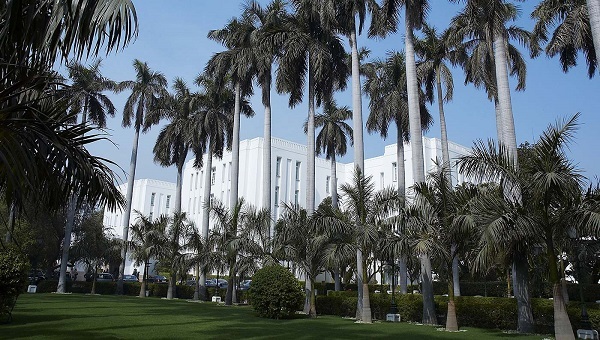 1) Hotel Oberoi Rajvilas, Jaipur. 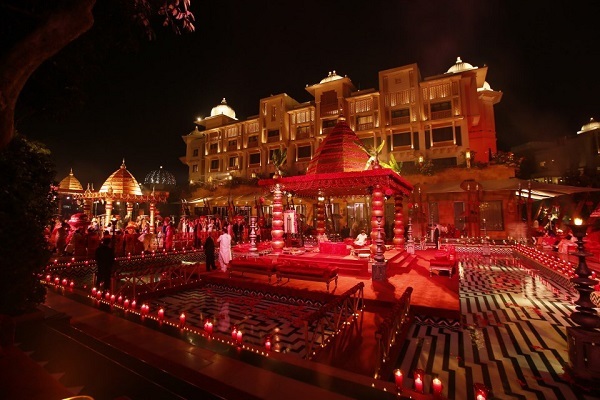 The Oberoi Rajvilas hotel is situated in Jaipur city. The hotel offers a fantastic luxury experience. It is unique 5-star accommodations in Jaipur City from Jaipur Airport. It has 71 rooms in all. 2) Hotel Tajmahal Palace, Mumbai. 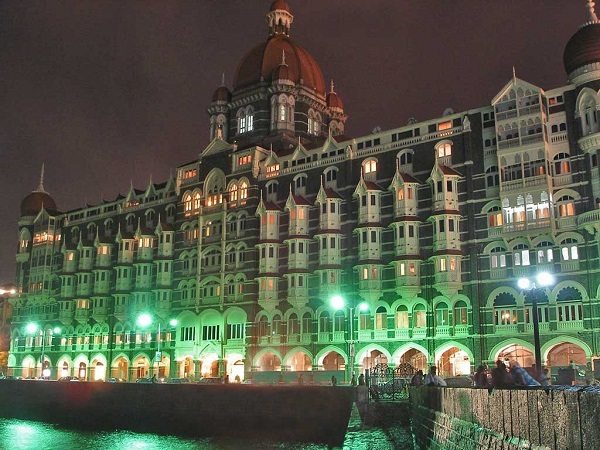 The Taj Mahal Palace Hotel is a 5 star hotel located in the colaba region of Mumbai, maharashtra. It is next to the Gateway Of India, Mumbai. It has a full-service spa, a health club, an outdoor pool, a sauna, and a fitness facility. Wireless connectivity is available and is accessible in public network. 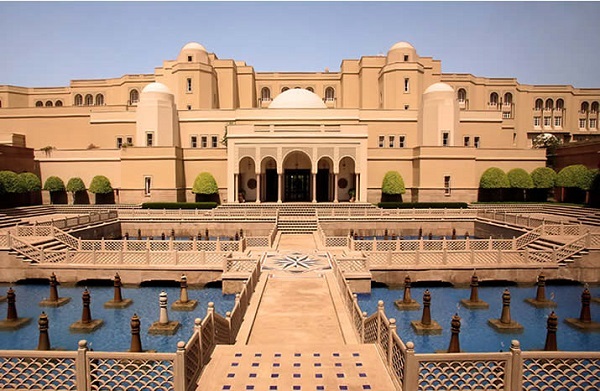 3) Hotel Oberoi Amarvilas, Agra. 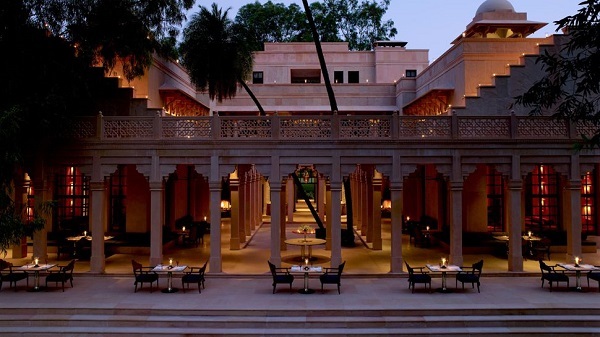 The Oberoi Amarvilas is less than a half mile from Taj Mahal. It features luxurious 5-star Hotel. There are 102 rooms available for staying with full facilities. It offers uninterrupted view of the monuments of Taj Mahal from all the rooms. 4) Hotel Taj lake Palace, Udaipur. Hotel Taj Lake Palace formerly it was known as Jag Niwas is a luxury hotel in Udaipur. It contains 83 rooms. Royal Capital of divine dynasty or languid city,Udaiur, was founded by Maharana Udai Singh in 1567, a descendant legendary. Amanbagh resort is a romantic hideway near Jaipur which is situated near Ajabgarh fort, Ajabgarh, Alwar Rajasthan. The resort comprises of main building that rises over three levels.It is situated at 85 kms from Jaipur. Amarbagh was previously the site of Maharaja of Alwar’s hunting lodge and pleasure gardens. It features many adorable Mughal like domes, a big swimming pool and ethnic rajasthani touches. 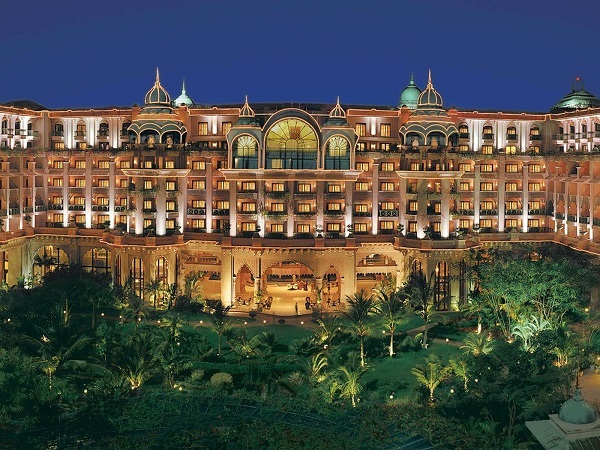 The Leela palace, Bangalore is one of the leading 5 star Hotels in Bangalore. It is set over in 9 acres of garden for the ultimate palace experience and world class dining. It was the 1st luxury hotel near the Sahara International airport. 7) The Attrium, Imperial Hotel, New Delhi. The Attrium Imperial Hotel is one of the best luxury 5 star hotels in New Delhi which offers ideal balance- Rooms and suites. It’s Asia’s finest luxury hotel and guest can enjoy spa services and 7 dining options. This hotel is 10 – minute drive from New Delhi Station. 8) Taj Falaknuma Palace, Hyderabad. 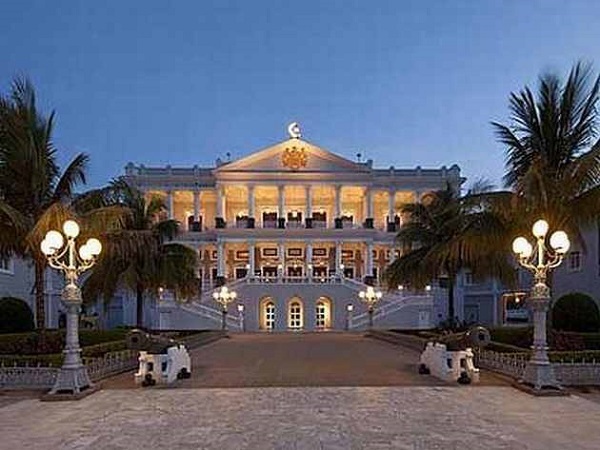 Taj Falaknuma Palace is one of the finest places in Hyderabad, Andhra Pradesh. 2000 ft above Hyderabad, this luxurious 5- star hotel. It is 3 miles from the beautiful Charminar monument. It is just 30 minutes from the airport, you will find the most incredible palace Hotels in the world. 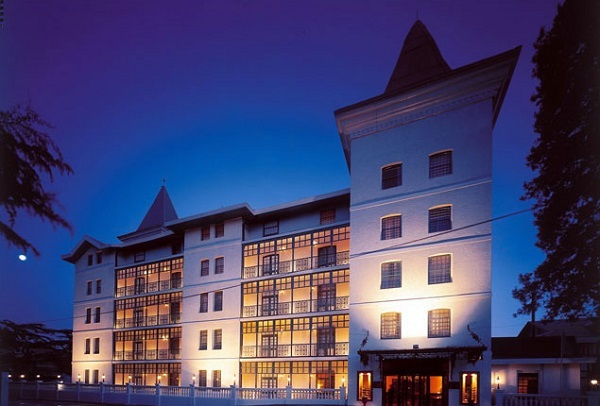 9) The Oberoi Cecil, Shimla. The Oberoi Cecil hotel is situated at an height of 7000 ft in the Himalayas at Shimla. It’s a grand heritage from Oberoi hotels and resorts located in majestic Himalayan ranges. These hotel is a part of colonial history of Shimla. It offers luxury accommodation along with an indoor heated swimmng pool. 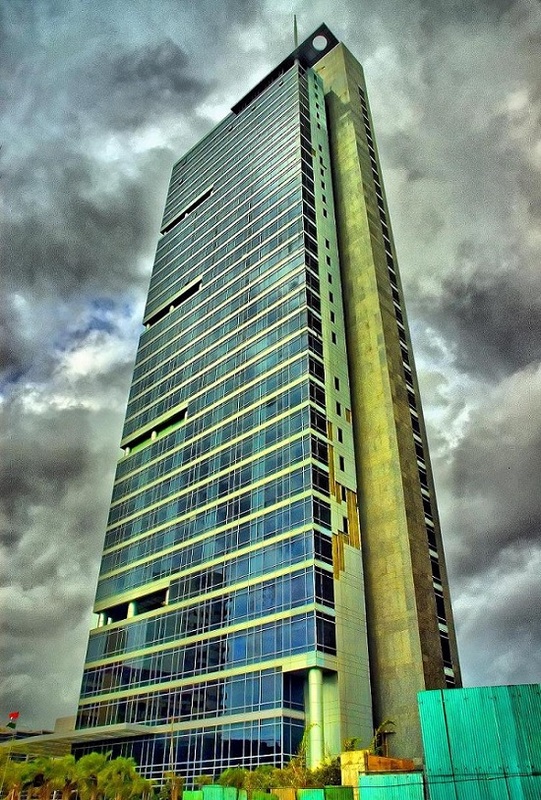 Four Seasons Hotel, Mumbai is a 5 – Star hotel and a part of a Toronto based four seasons luxury hotels and resorts.It features Mumbai’s highest rooftop bar accompanied by stunning city views. It offers comfortable rooms with a 42-inch LCD TV.